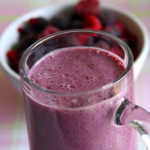 I found this recipe in Taste of Home magazine. 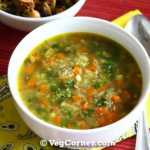 This recipe was submitted by one of its readers. 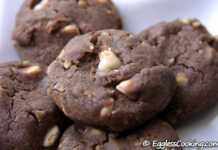 I’m so glad that I found this recipe because these cookies are absolutely delicious. It had the “melt in your mouth” texture, which reminded me of the butter biscuits we get in bakery shops in India. I would say that these are the best cookies I have baked so far. 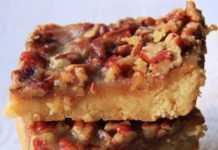 It’s not too sweet and it also has a hint of saltiness, which is the perfect combination. Also it’s so easy to put together. 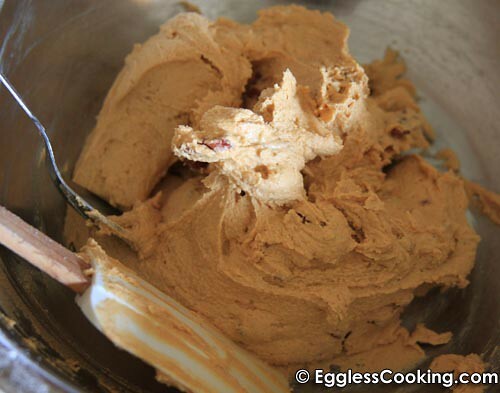 A very easy recipe to bake eggless butter pecan cookies for any occasions! Preheat oven at 375F for 15 minutes. 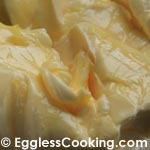 In a small mixing bowl, cream butter and pudding mix until smooth. 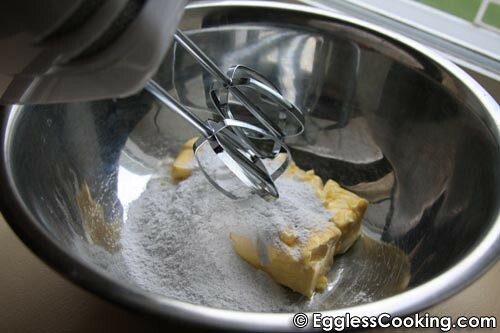 I used a hand held electric mixer. Grease a tablespoon with non stick cooking spray. 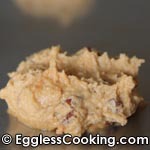 Take a tablespoonful of dough and drop it on the baking sheet 2 inch apart. 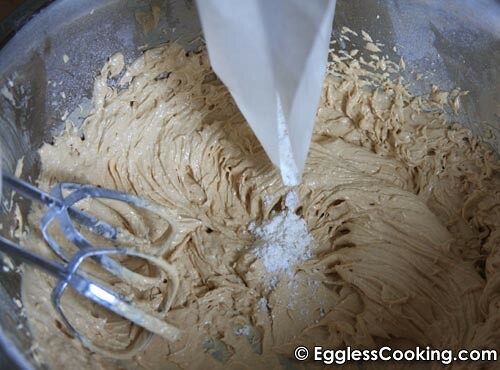 Flatten the dough using your fingers. Bake it for 10-13 minutes or until light golden brown. Mine were perfectly done at 11 minutes. Remove it from the oven and let it cool on the baking sheet itself for 5 minutes. 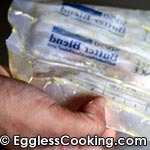 Then transfer it to a wire cooling rack and let it cool completely before storing it in an airtight container. 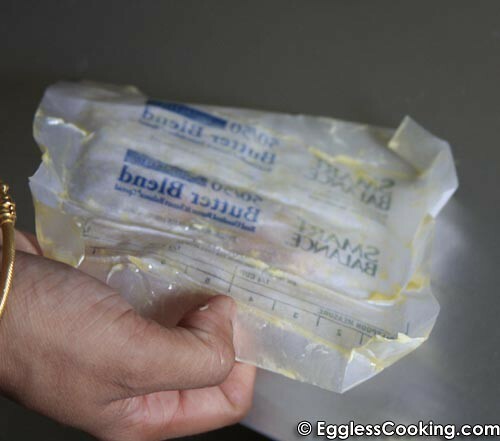 Grease 2 baking/cookie sheets using the butter wrapper itself. 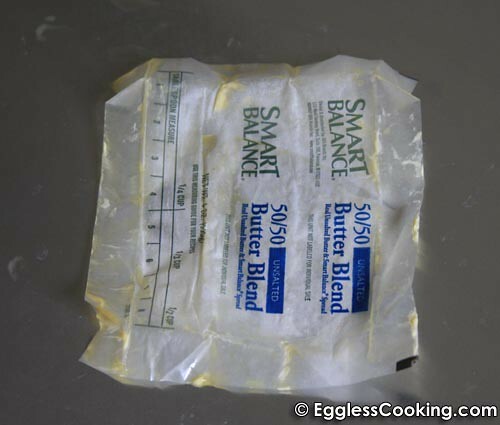 This way the leftover butter on the wrapper is not wasted. The recipe does not need sugar. 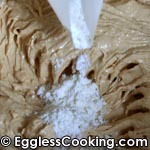 The cookies gets its sweetness from the sugar in the pudding mix. Once I prepared the dough, I tasted it and felt that it was not sweet enough. I was so tempted to add some sugar. But I’m really happy that I did not do it, because the cookies tasted perfect. The above measurement yields exactly 2 dozen cookies. I used 2 large baking sheets for each dozen and baked it one batch at a time. 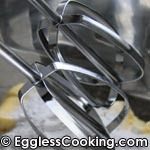 You can also bake both at the same time with one sheet on the middle rack and the other one on the bottom rack. 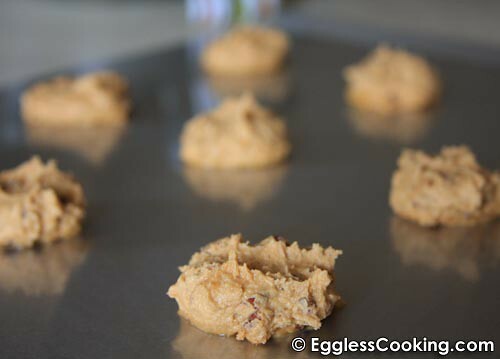 If you decide to bake both batches at the same time, be sure to switch the baking sheets half way through. That is, once it’s baked for 5 minutes, move the top rack sheet to the bottom and the bottom rack sheet to the top to ensure even baking. Using the same method, I’m also thinking of making Pistachio cookies using instant pistachio pudding mix and chopped pistachios instead of pecans. 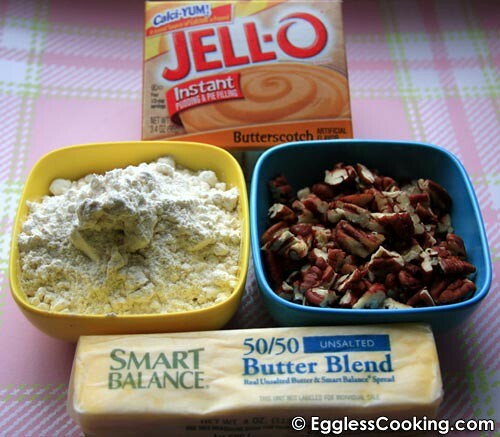 Is there a substitute for the pudding mix that can be used? Not in this recipe. 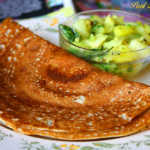 This is a recipe which will work only with pudding mix. Thanks Angel. I have checked the ingredients list of the pudding mix and it doesn’t state gelatin explicitly, so I think it’s gelatin free unless and otherwise it’s disguised under some chemical name. The jelly type of thing from Jello does have gelatin mentioned but not the pudding mix. Anyways I think we will have to contact the manufacturer to be sure just in case. I have a doubt,do we have to use pudding as a dry powder in this recipe or by making pudding out of it and then adding it to recipe..this is the first time trying to make cookies. Just use the pudding powder like flour. 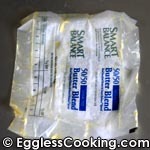 I could not find smartnbalance stick butter in my grocery store, can I use imperial butter instead? Any butter stick is okay. 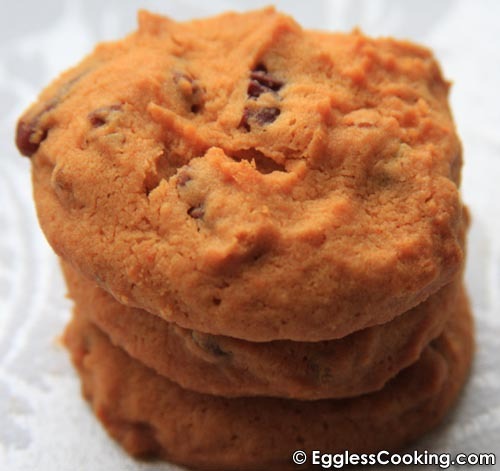 I was out of eggs, so I looked up eggless cookies. All I had on hand was Banana Cream Pudding. 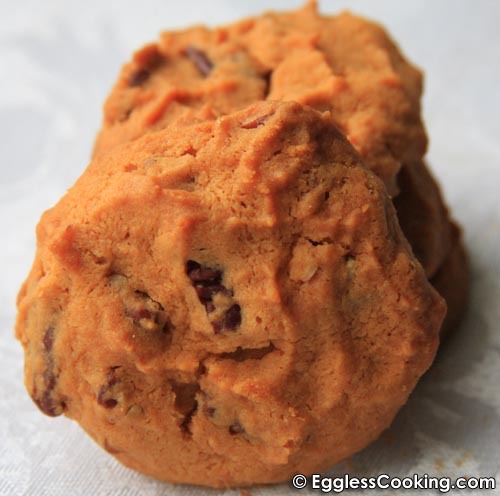 I added peanut butter chips , pressed down cookie and put a large choc chip in center before cooking. They were so yummy! Thanks for the recipe. Gelatin is usually the collagen from animal bones and occasionally skin. Because it is not from the flesh of the animal it is considered vegetarian but not vegan. 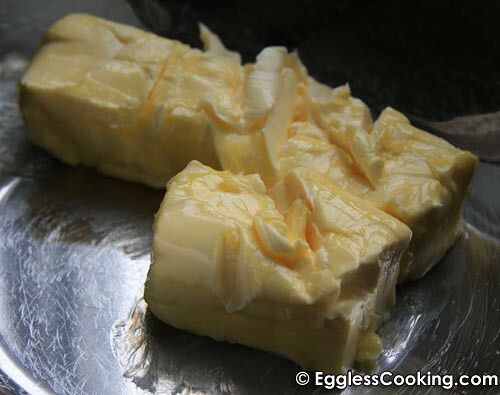 As the recipe calls for butter it is not vegan anyway unless you replace this with margarine or an olive spread. The instant pudding I used contains no gelatin but milk solids and therefore, not vegan. Do you know of any vegan pudding mixes? I googled and found out that there are a couple of brands and Oetker also has one. Today I was at Giant trying to get the “Smart balance” butter blend and noticed that their product has purified fish oil in it..their spread doesn’t have the fish oil,only the butter like sticks do..I wonder if you have any thoughts on this.. I will look for the original next time. sell the original(without omega-3).Could I possibly use the earth balance butter sticks from whole foods instead? though, or might I have done something wrong? Thanks for giving egg free baking a try Mike. Do you mean that your cookies were chewy instead of crispy? Because mine were very crispy. What exactly is a ‘pudding’ mix? I’m assuming it’s instant custard mix… Custard mix is available in India but not sure if pudding mix is. Are they the same thing? Or any substitutes for the pudding mix please? It’s similar to custard mix and comes in a variety of flavors. The ingredients in the pudding mix says it contains modified food starch and in custard mix its cornstarch. I’m not sure if these 2 can be used interchangeably. These caught my eye when the picture looked like round pistachio ball cookies. Any idea if they will work like that? Shaped into balls? 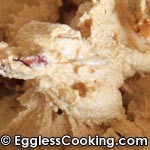 Was the dough seeming like it might shape if refrigerated? My thought is green balls(pistachio with pecans)and white balls(vanilla with dried cherries) for Christmas time. What do you think? I don’t think it will stay as balls because of the amount of butter in the recipe. It will spread considerably. 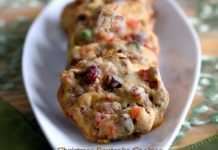 Maybe you can try baking without flattening the cookie dough. These cooks were crispy I would say. More like melt in your mouth texture. If you want it chewy you can try taking the cookies out of the oven 2-3 minutes earlier or try reducing the quantity of butter. I made these cookies with my 5 yr old son for his graduation day from Pre-K school. We had so much fun making the cookies together. I used vanila pudding mix and milk choclate chips instead. They came out absolutely wonderful and sooooo easy to make. Thanks for this receipe. You’re welcome Hetal. 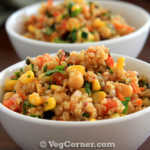 The interesting thing in this recipe is you can try as many flavors as possible and its all so easy. first of all I love all your eggless recipes. But I am surprised to find that you use Jello products. 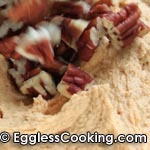 you are going eggless with the recipes but at the same time you are using Jello gelatin/pudding?? I am surprised because it is not vegetarian. The gelatin mostly is derived from animal carcass. Unless specified that it is derived from plants or it specifically says carageenan or agar agar. Just was curious to let you know. Thanks Pintoo. As far as I know Jell-O pudding and Jell-O gelatin are two different products and the pudding does not have gelatin in it. You’re welcome Kutin. It’s great to know that whole wheat flour works too in the recipe. I made these with salted butter; due to what I had on hand. They tasted good, texture was nice also. Added a bit of brown sugar to even out the salted butter. They reminded me of salted camels. Might add some chocolates next time to sweeten them a bit with the salted butter. Thanks for giving it a try Colleen. Sure salt and sweet is a pretty good combination. 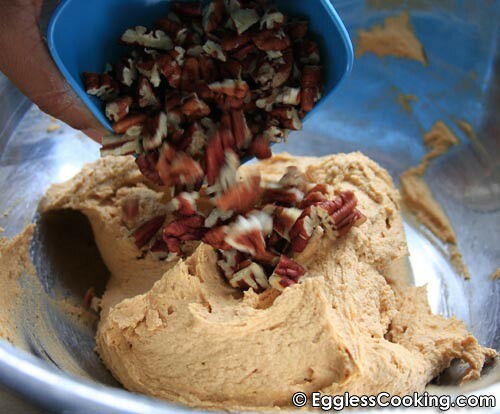 Can you use Walnuts instead of pecan for these cookies? I made the pistachio version of the cookies you suggested and the cookies were amazing. My picky mother even loved them. I didn’t have enough pistachios so i used some walnuts and almonds… worked out really well…. Thanks for the recipe… My mom asks me to make them all the time now!!! Thanks for the feedback Sonaly. But picky mother? I guess it’s payback time!